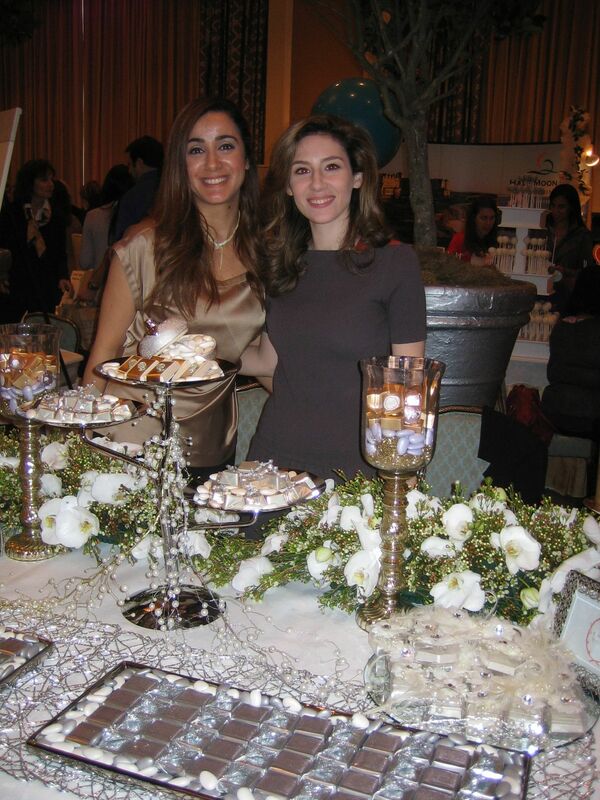 Hot News from the Four Seasons SF Wedding Fair! I just returned from another glamorous Wedding Fair – at the luxurious Four Seasons Hotel in downtown San Francisco. 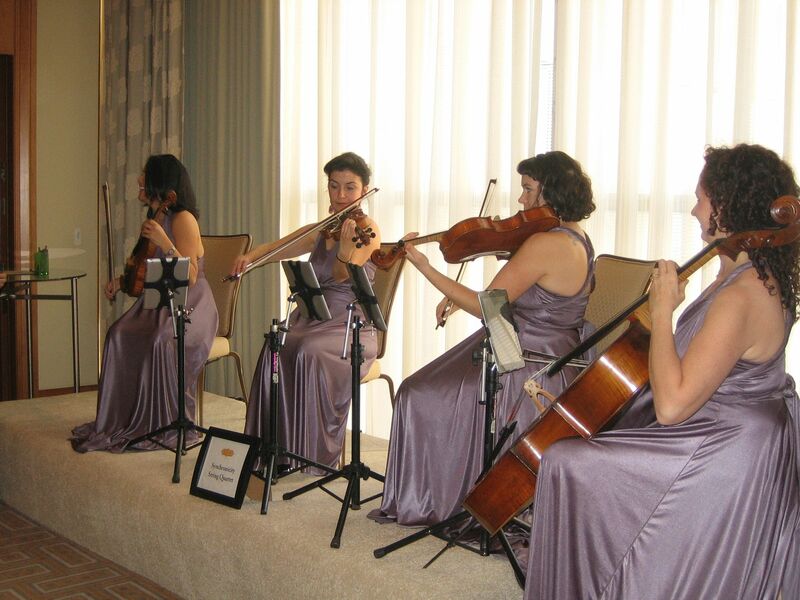 Stepping into the foyer, guests were greeted by Synchronicity Strings, a classical string quartet, performing wedding classics – when I arrived, it was Pachelbel’s Canon in D. My all-time favorite! 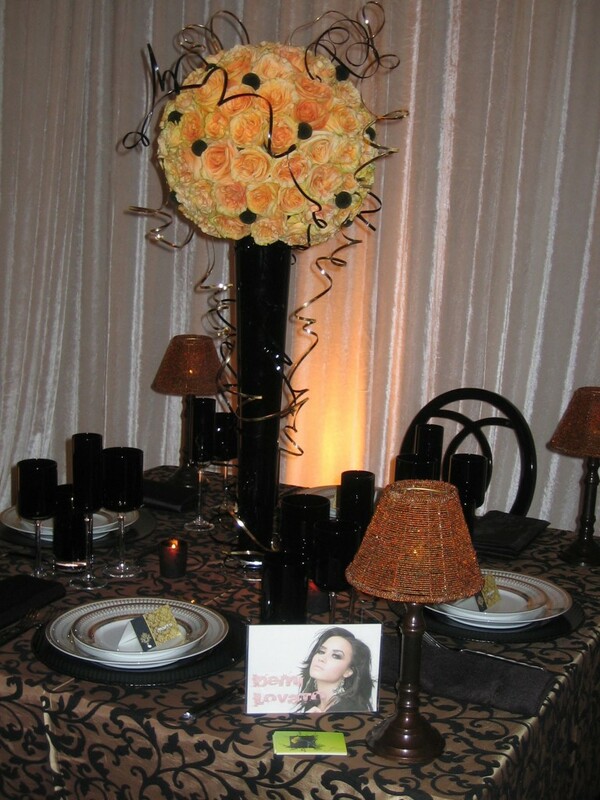 Laura is just sooo creative! Can’t wait to work with her! 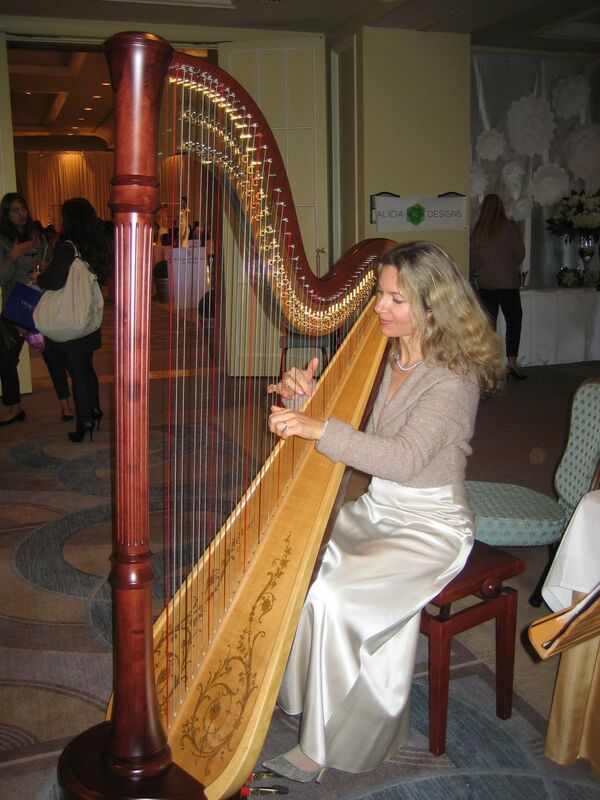 The next wonderful discovery was awaiting right in the next room: Juillard-educated harpist Bertina Mitchell with a wide repertoire ranging from Bach to Debussy, experienced at accompanying wedding ceremonies from prelude to recessional… and what could be more romantic at a wedding than harp music? 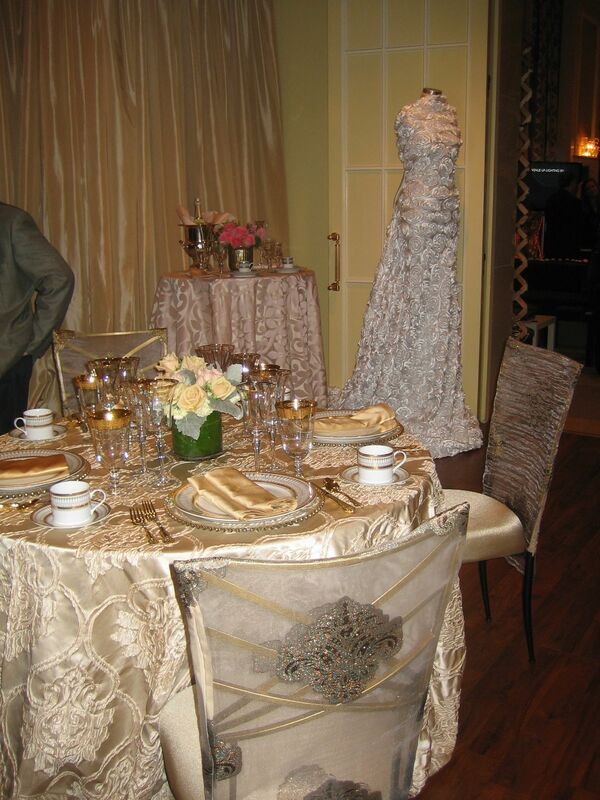 Right across from Bertina, Classic Party Rentals went right over the uber-glamorous top with this table arrangement of shimmering cream damask linens, crystal-encrusted chair covers, and golden flatware, gold-rimmed wine glasses, gold-beaded chargers… and, to top it off, one of Classic’s fabulous appliquéd linens playing wedding dress in the background! 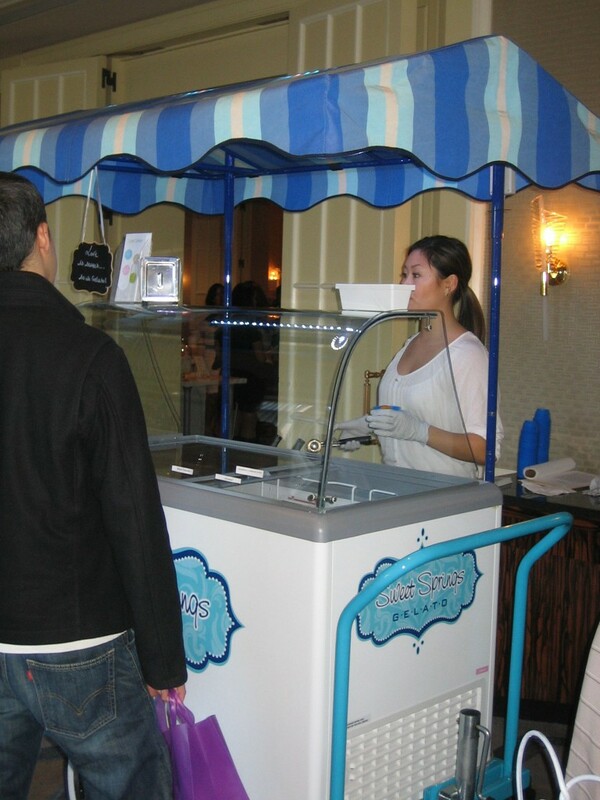 From extreme elegance to sweet nostalgia: an ice cream cart, lovingly hand-crafted by John of Sweet Springs Rentals! But then John went far beyond nostalgia and our sweet childhood memories and created decidedly grown-up ice cream flavors to be served from this cute cart – and I can tell you: my favorite, blackberry Cabernet (!! ), is to die for! John has even more grown-up delicacies to offer from equally romantic settings: an Espresso Bar, hand-crafted from reclaimed wood; and a Margarita machine and chocolate fountain. Indulge till you drop!! And on to more discoveries: custom-made arbors! No more run-of-the-mill standard arbors! 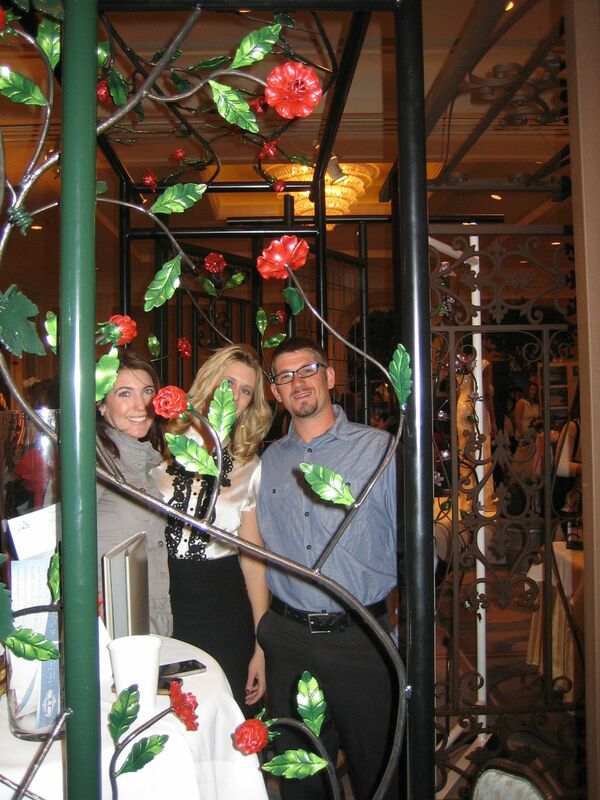 Arbors Ever After offers not only a selection of handcrafted steel constructions, lovingly decorated with leaves and flowers, and powder coated for 25 years of durability in the couple’s garden – they will also custom-design one for a couple, starting with just an idea, a vision, a wedding theme – either using steel or natural materials like wood and branches. Now, here’s something really new! 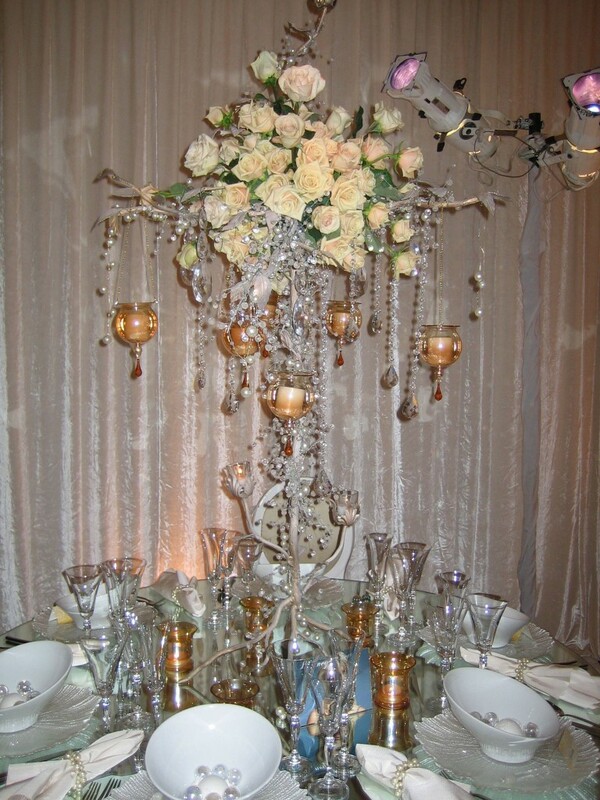 “Custom” is certainly a big trend, in every aspect of a wedding – but never more preciously so than with custom jewelry. 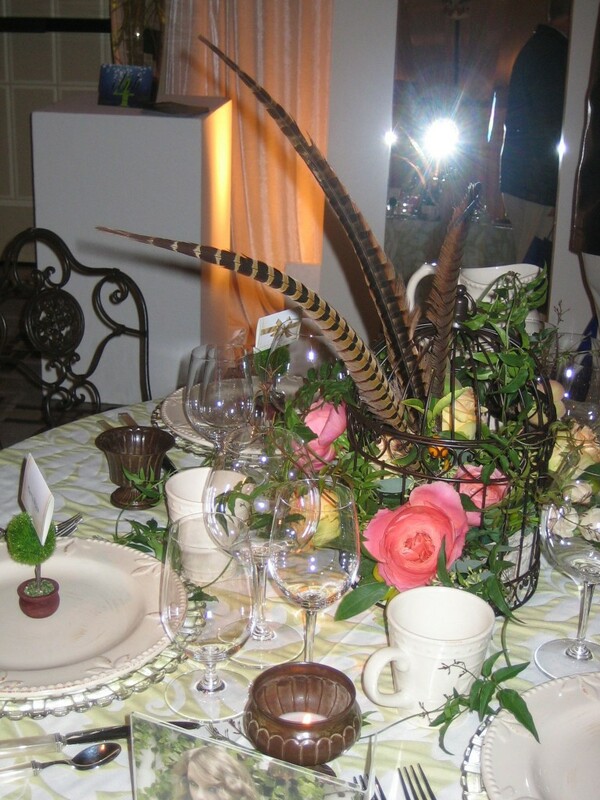 Vittoria d’Aste-Surcouf is an accomplished jewelry designer who three years ago followed her passion for “all things wedding” and since then has been focusing her creative energies exclusively on bridal jewelry. 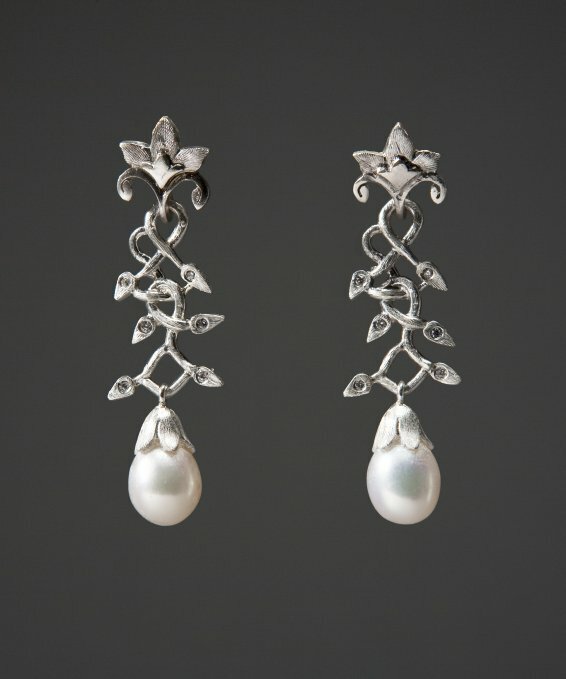 She is working in precious metals, diamond, gemstones and semi-precious stones, and her pieces are truly one-of-a-kind: my favorites are her yellow diamond pieces…. Aren’t these beautiful beyond words? The two transform European chocolates into sparkling gems for glamorous wedding favors, re-packaging and decorating them in any design desired – taking into account wedding style and colors… I can’t imagine any more attractive decor for a dinner napkin at a wedding reception. All in all, what a day of fabulous discoveries!